This magnificent american timber has been used to great effect by perth architect Tim Wright in a modern residence in Applecross. 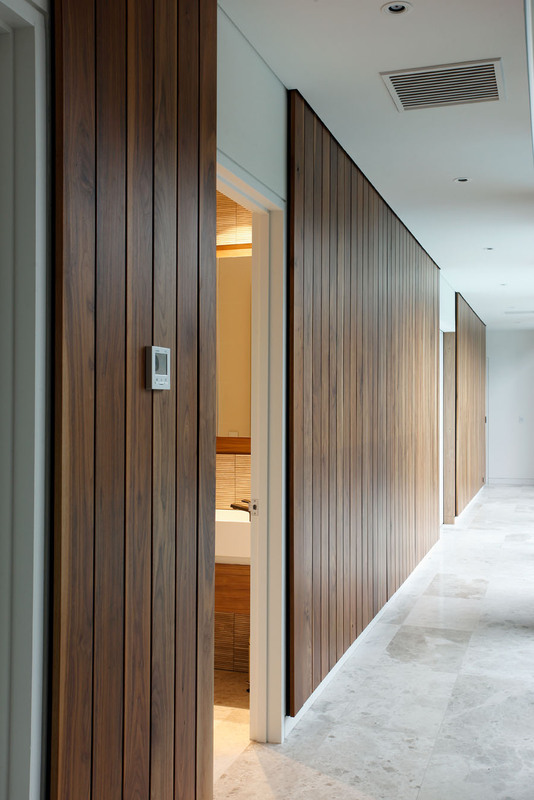 The skilled craftsmen at the Furniture Design Studio brought this timber to life manufacturing and polishing the wall cladding from raw timber specified and supplied by Austim. The end result is spectacular giving the house a warm natural feel.